Mr. Steger grew up in Phoenix Arizona and attended Glendale college. He has been married for 31 years and have two grown children. 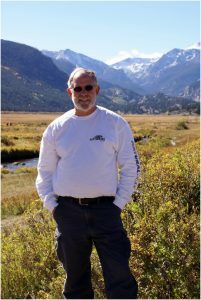 He moved to Colorado in 1978 and spent the next 28 years in the technology fields in various management capacities. Prior to coming to Advance GSA he was with a company called Corporate Express as a VP of sales. It held a GSA contract and did about $30million per year through their schedule. Currently, Mr. Steger is the National Sales Manager for Advance GSA and has been with the 15 year old company for about 6 years. They process an average of 180 GSA contracts per year. Bob considers it a privilege to assist small companies with getting their GSA contract. Bob will be presenting the Seminar GSA Schedule – Government Contracting on Monday, October 19th.